MiddleVR allows the powerful Unity engine to run in CAVE systems. Visbox has partnered with MiddleVR to provide complete turn-key VisCube CAVE solutions with MiddleVR and Unity pre-installed and configured. The combination of high-performance display hardware from Visbox, Inc. and the seamless integration of Unity via MiddleVR provides an accessible and powerful platform for custom VR application development. 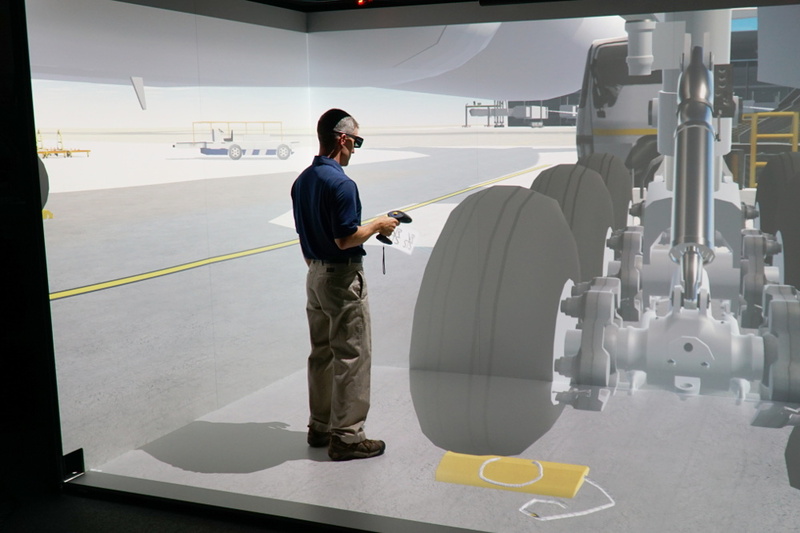 Visbox has been demonstrating its leadership in high-end immersive systems. MiddleVR is pleased to partner with Visbox to provide an easy-to-use solution combining software and hardware. The VisCube is an affordable high performance CAVE immersive virtual reality system. The standard configuration features three large rear-projection walls and a front projected floor. The VisCube can be configured as a turn-key immersive virtual reality system, complete with a tracking system and graphics workstation. With the simple and powerful MiddleVR plugin for Unity, users can create and experience interactive and immersive VR applications in minutes. Unity is a powerful cross-platform engine developed by Unity Technologies. It allows for rapid development of professional interactive 3D content and has become an industry standard. Unity features powerful high-level tools for quickly developing 3D worlds. It also features a scripting language for advanced interactions and a plugin architecture for customizations.